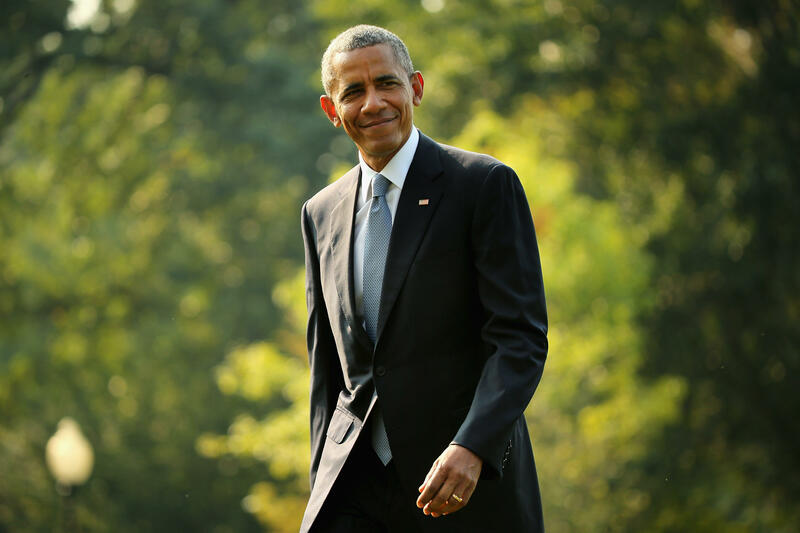 Obama endorses dozens of Democratic candidates across U.S.
Former President Barack Obama is jumping back into the political fray, endorsing dozens of Democratic candidates running for state and federal office across the country as he prepares to reengage on the campaign trail. The list includes 20 individuals who served in the Obama administration and are heeding words of advice the former president shared in his 2016 farewell address to the nation, when he encouraged Americans to "grab a clipboard, get some signatures, and run for office yourself." The list of alums includes Richard Cordray, the former head of the Consumer Financial Protection Bureau who is running for governor of Ohio; Colin Allred, a former Justice Department official now running for Congress in a Dallas-area swing seat; Ammar Campa-Najjar, a former Labor Department official now running an upstart campaign to defeat Rep. Duncan Hunter, R-Calif.; and Buffy Wicks, a former 2008 and 2012 Obama campaign aide seeking a California assembly seat. Overall, Obama endorsed 81 candidates running for offices ranging from governor to secretary of state and state auditor. The list also includes Gavin Newsom, the Democratic candidate for California governor; Georgia's Stacey Abrams, who is seeking to make history as the first black woman elected governor in any state; Colorado gubernatorial candidate Rep. Jared Polis, D-Colorado; and J.B. Pritzker, a longtime donor and Obama family friend who is running for Illinois governor. Obama called his choices "a wide and impressive array of Democratic candidates – leaders as diverse, patriotic, and big-hearted as the America they're running to represent." "I'm confident that, together, they'll strengthen this country we love by restoring opportunity that's broadly shared, repairing our alliances and standing in the world, and upholding our fundamental commitment to justice, fairness, responsibility, and the rule of law," Obama added. "But first, they need our votes – and I'm eager to make the case for why Democratic candidates deserve our votes this fall." Taking note of the endorsements, the Republican National Committee noted that Democrats had suffered historic losses during Obama's presidency. "No one's more to blame for how weak today's Democratic Party is than President Obama. He cost them over 1,000 legislative seats, decimated their state parties and voters rejected his policies at the ballot box less than two years ago," said RNC Spokesman Michael Ahrens. Obama's endorsements come as he has reemerged in public in recent days. On Monday, he was spotted having lunch with former Vice President Joe Biden at a Washington bakery. Over the weekend, he attended a Beyonce concert with former first lady Michelle Obama at FedEx Field outside Washington – an outing that was heavily documented on social media by fellow concertgoers. The former president's office did not immediately announce plans to campaign with the candidates he endorsed, but he vowed to do so in his statement. He has previously endorsed Sen. Dianne Feinstein, D-Calif., who faces a challenge from Democratic State Sen. Kevin de Leon this fall, and Sen. Claire McCaskill, D-Missouri, one of the earliest supporters of his 2008 presidential bid who faces a difficult reelection fight in a state President Trump won overwhelmingly in 2016. Last year, Obama also campaigned for successful gubernatorial candidates in New Jersey and Virginia and headlined fundraisers for Democratic Party campaign committees. The list of endorsed candidates should test how radioactive, or how helpful, ties to the Obama legacy will be for Democrats up and down the ballot this November. His preferred candidates include Democrats running in 10 congressional races deemed competitive by CBS News, including four House districts in California; two in Nevada; and one each in Illinois, New Jersey, New York and Pennsylvania. Of the 81 candidates, 48 are women, 22 are minorities and three are openly gay or transgender. Some of the candidates responded to the endorsement almost immediately on social media. "As a skinny brown guy with a funny name, Obama inspired me as a young man," tweeted Campa-Najjar, who is Latino and Arab American. "He not only gave me a road map to navigate my own journey, but also the destination in self [sic] – a role in his admin. Let's finish what we started." Thank you @BarackObama! He’s in, are you?